This is no ordinary love. Can she read your mind? Does she understand everything you say? Will you pretty much do anything for her? If so, you're a true dog lover. Your best friend gives so much to your life. Return the favor, by giving her premier protection from parasites. This is no ordinary protection. Dog lovers know. We're talking about a deep kind of bond here. You will do anything to protect your best friend. That means using Vectra 3D®, a powerful and broad spectrum parasite control. It's authorized for sale only by your veterinarian—the person who knows your dog better than anyone. Except you. Vectra 3D® is not effective against Mange Mites. Beyond the itching and scratching, fleas can carry all sorts of diseases. Vectra 3D® kills and repels adult fleas, and also controls flea eggs, larvae and pupae that are about to become adults. Dog lovers who treat their dogs like family don't take chances with fleas. Ask your veterinarian about Vectra 3D®. Over 95% of fleas are not adults and can cause future infestations. Triple-action formula kills quick, despite lifestage—and keeps fleas from coming back. When fleas don't have to bite to die, they don't get to transfer diseases. Disgusting when engorged on blood and potentially dangerous to dogs and their families, ticks can transmit many dangerous diseases. No dog lover ever wants to mess around with ticks. There is a way to kill them, and repel them before they even bite. Ask your veterinarian about Vectra 3D®. Ticks are not usually born carrying disease. They become a carrier by feeding on wild animals. Before laying eggs, a female tick consumes up to 600 times her body weight in blood. Triple-action formula kills more species of tick on contact. Vectra 3D® works through contact. If ticks don't get to bite, they don't get to transfer disease. 'Hot foot' reaction sends ticks up hair shafts and off animals after contact. Mosquitoes feed on your dog's abdominal region, muzzle or ears—causing scratching, chewing and irritation. Allergic reactions to their bites can cause secondary infections. Don't let mosquitoes endanger either your dog or your family. Stop them before they even land. Ask your vet about Vectra 3D®. Can reproduce wherever there is standing water. Neither FRONTLINE® Plus nor Trifexis® kill or repel mosquitoes. If mosquitoes don't get to bite, they don't get to transfer disease. The adult mite is transmitted by direct contact between animals. Female mites can survive several days off the host, so it is possible for animals to become infested through environmental contamination. Don't let mites make your dog miserable, or transmit disease. Ask your veterinarian about Vectra 3D®. Found on humans, animals, birds, reptiles and even fish. Mites have earned the nickname "Walking Dandruff." Usually present in small numbers on healthy animals. By killing on contact, mites are exposed to Vectra 3D® without biting. K9 Advantix® and Trifexis® have no effect on mites. Biting flies and sand flies not only irritate your dog, they can transmit disease. They are nocturnal blood feeders that typically settle around the muzzle, eyes and mouth. A fresh bite on your dog is the perfect environment to lay eggs and spread dangerous diseases. Ask your veterinarian about Vectra 3D®. Adults are most active in summer months. These flies are blood-sucking parasites. Their bite is painful and the ideal spot to lay eggs. Triple-action formula kills biting and sand flies on contact. Stops flies from biting and feeding completely, and often stops flies from even landing. Neither Frontline® nor Trifexis® are effective against biting flies. Lice are tiny insects that spend their entire lives on a host animal. Their eggs, nymphs and larvae glue themselves to the hair of the pet. Sucking lice can cause anemia and a large infestation in puppies or small dogs can be fatal. Don't let lice get between you and your dog. Ask your vet about Vectra 3D®. The louse life cycle: 21 days. Intense itching, irritation, redness, sores and balding spots can result. In severe cases, a dog can lose up to one quarter of its blood. The triple-action formula of Vectra 3D® kills lice on contact. By killing on contact, lice are exposed to Vectra 3D® without biting. K9 Advantix® and Trifexis® have no effect on lice. Compare. You'll see there's no comparison. There are a lot of parasite control products out there—plenty of ways for dog lovers to settle for less. Don't settle for any product that does not provide the protection that your cherished dog needs against dangerous parasites. Fast-acting, long-lasting Vectra 3D® controls six dangerous vectors (carriers) of disease, while Comfortis only kills adult fleas. Only treating adult fleas leaves your dog exposed to 95% of the problem. Don't settle for less. Ask your veterinarian about Vectra 3D®. Fast-acting, long-lasting Vectra 3D® repels six types of dangerous parasites. Frontline repels none. Don't settle for inadequate protection for your dog. Stop parasites before they have a chance to bite and spread disease. Ask your veterinarian about Vectra 3D®. Dress your pooch up in a suit of armor. For a healthy and happy dog, it's not enough to just kill parasites. It's important to repel them as well—so the dangerous vectors never get a chance to bite and transmit diseases. Vectra 3D® repels by creating a 'hot foot' reaction. Fleas, ticks and other parasites come into contact with your dog's coat or skin, and become exposed to Vectra 3D®. They retreat back up hair shafts without biting, and soon die. And mosquitoes sense the active ingredients of Vectra 3D®, and 80% of the time, avoid dogs without landing. Don't let parasites come between you and the dog you love. Repel. Protect from reinfestation. Prevent instead of just treating. Ask your veterinarian today about Vectra 3D®. Non-flying parasites are repelled on contact and jump off host. Flying insects sense the chemical, refuse to land and never feed. Fast speed of kill. Fast speed of chill. It's a fact of life. Parasites can bring suffering and disease. Dog lovers need to stop them quickly. Vectra 3D® is the answer. It reduces feeding in fleas and stops the five other major vectors, quickly after application. Don't ever let parasites get in between you and the animal you love. Trust Vectra 3D® to stop them. Now. Clean and easy protection. We took a patent out on it. The unique Vectra 3D® applicator is a big hit with dog lovers and their veterinarians. 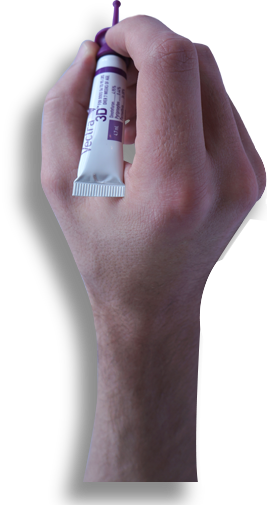 Designed with their feedback, it's easy to use—with no drips, no mess and no need for scissors. The long, rounded tip helps you easily and comfortably apply product directly to your dog's skin. This protection comes from behind the counter, not over it. At Ceva, we believe in the veterinarian-client-patient relationship. 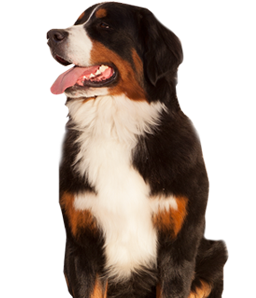 We think your dog benefits greatly from the expertise only a veterinary professional offers. That's why Vectra 3D® is only authorized for sale from your vet, who knows the parasite pressures in your area and who knows your pet better than anyone. Except you.